No matter where you are in the world, you can appreciate the beauty of our moon. Captivating and enlightening, the moon holds many associations in its physical form. In Greek mythology, Artemis was the Goddess of wilderness and hunting. A moon is often paired with Diana, to represent her protection over children and childbirth. 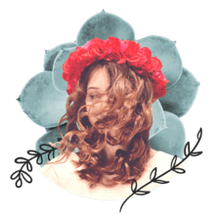 In Wicca, the moon can be associated with Demeter, Persephone and Hecate, also known as The Mother, the Maiden and the Crone, who represent the passage of time and life cycle from birth to death with their changing phases. For those that are seeking dark or gothic style tattoos, a moon is dark and mysterious enough to fill that void. But it doesn't take an affinity for darkness to appreciate lunar tattoos. Cancers, whose Zodiac sign is ruled by the moon, might feel particularly attracted to the symbolism. Any darkness aside, the moon is viewed as a female symbol and can also be associated with the Goddess Isis. As a representation of the Earth Mother, the moon follows the natural curve of a woman's body and breasts. Paired with a small star, a crescent moon it becomes a recognized Islamic symbol that is known all over the world. Roman mythology also carries many stories that may aid you in your choice of a moon, whether that be a full moon, a crescent moon, or a Maya moon goddess. It's important to research into the rich culture and heritage you want to represent with your moon, because as with many important cultural symbols, it's easy to be insensitive out of ignorance. Crescent moons (also called half moons) near-universally represent birth cycles and fertility, and may be worn to represent womanhood. Overall, though, consider what the moon invokes in you when choosing a design. Although it can be grounding, it can also have the opposite effect, calling forth more wild sensibilities. If you appreciate more light-hearted things, you may find a man on the moon tattoo to be a cute and whimsical choice. However, keep in mind that an intricate moon design will necessitate a high level of detail, so you'll want to make sure you find the right artist for that particular job. 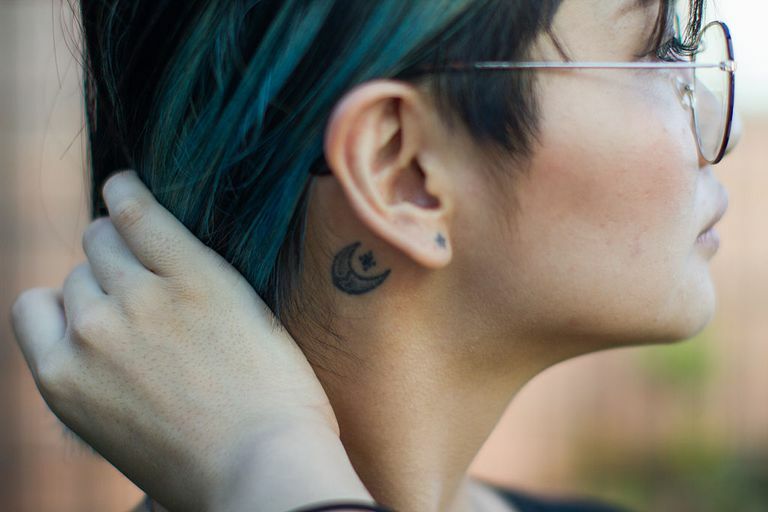 In general, crescent moon tattoos tend to be smaller and hold less detail, so they usually look best on the inner wrists, fingers or the neck. Putting your tattoo anywhere else means it will disappear, or maybe just look like it's floating on your body—although some people choose to make full, space-themed sleeves around their moon tattoo. If you're truly struggling with placement, your artist will be your best resource. If you want to be reminded of the moon's magickal force, remember to place the tattoo somewhere you can see it every day.